So here’s the plan…. with a potential consequence. We’re going to have a little competition between our two stores and you can help out your favorite of the two with your food donation! 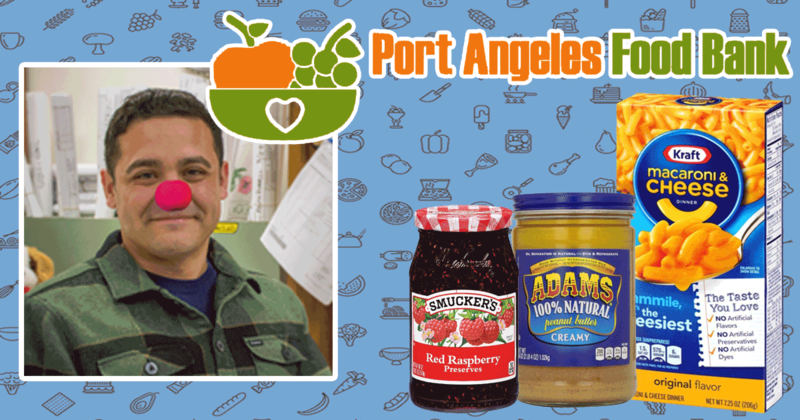 We’re collecting all the Peanut Butter, Jelly/Preserves and Boxed Mac and Cheese along with any cash that we can for the next two weeks (from 1/28 – 2/11) at our stores. We’ve even made an internal point system just for our competition. The store with the most points gets bragging rights and a public kudos. 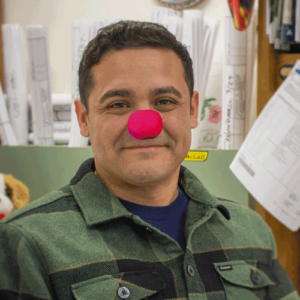 The store’s employees with the lesser points must wear red clown noses for one full day on Friday, February 15th (as modeled by Anthony Hernandez himself). Thank you to all those that choose to donate! ‘Twas the week before Christmas… in a Port Angeles Employee Owned Lumber Yard.